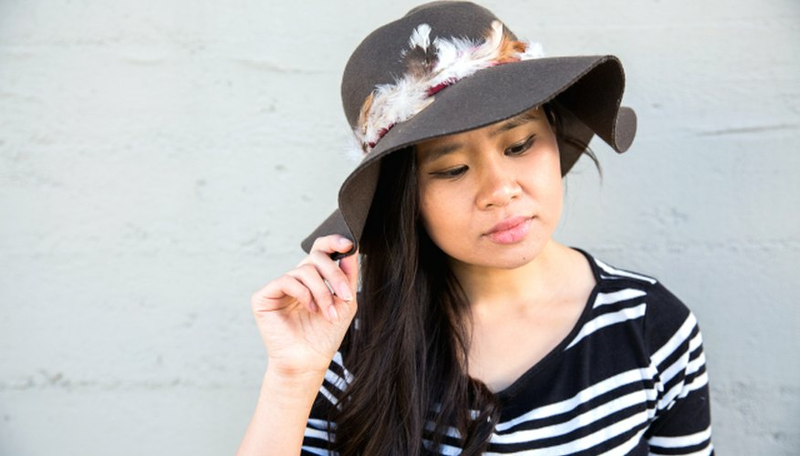 When it comes to autumn pieces, a felt floppy hat is a must-have. 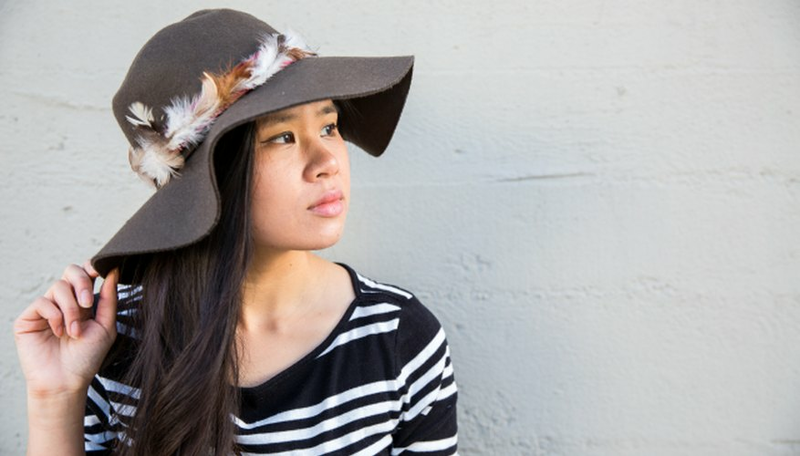 For the ultimate fall touch, sport an embellished piece, like this $98 feather trimmed hat from Anthropologie. However, instead of spending a pretty penny, create your own DIY version with inexpensive supplies and a plain floppy hat. The best part? 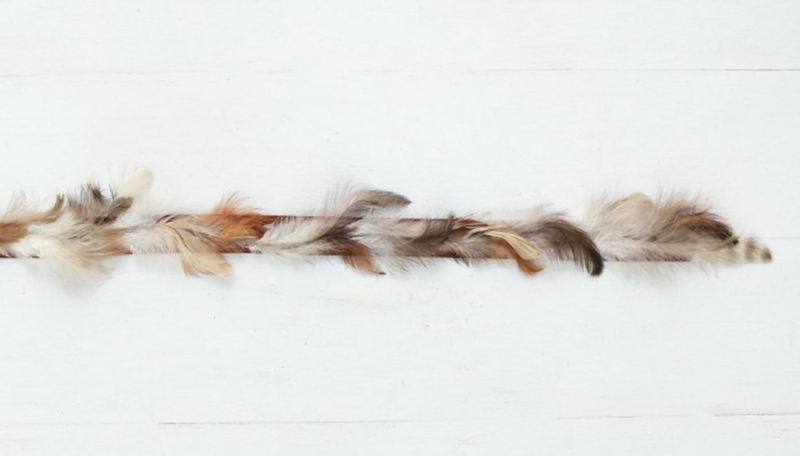 If you want to switch it up, the feather trim is easily removable. It's like two hats in one! Cut a strand of ribbon long enough to wrap around the hat, plus an extra four inches. 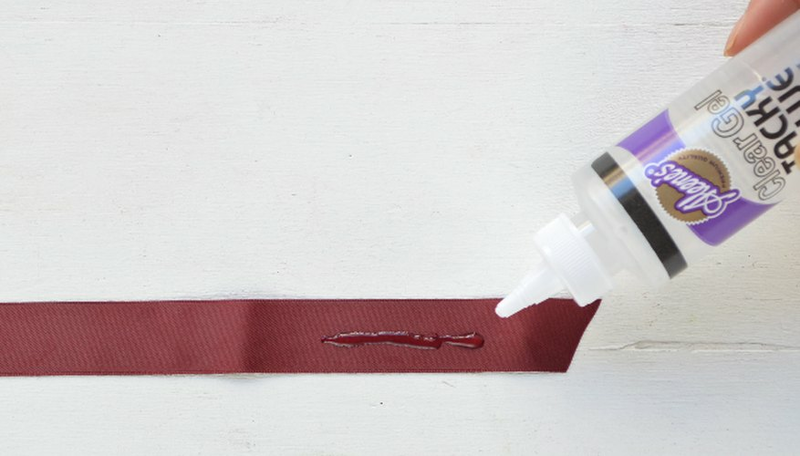 Add a thin line of glue to one end of the ribbon. 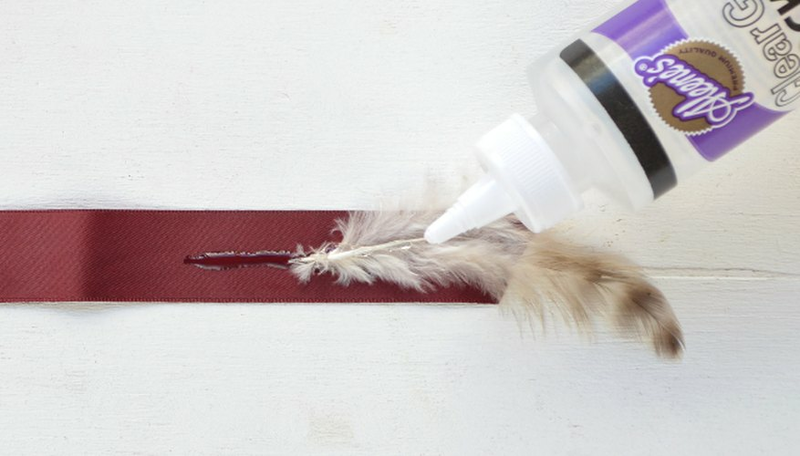 Place a feather onto the glue. Gently press down to make sure the feather lays perfectly flat. Add a small amount of glue on and near the stem of the feather. 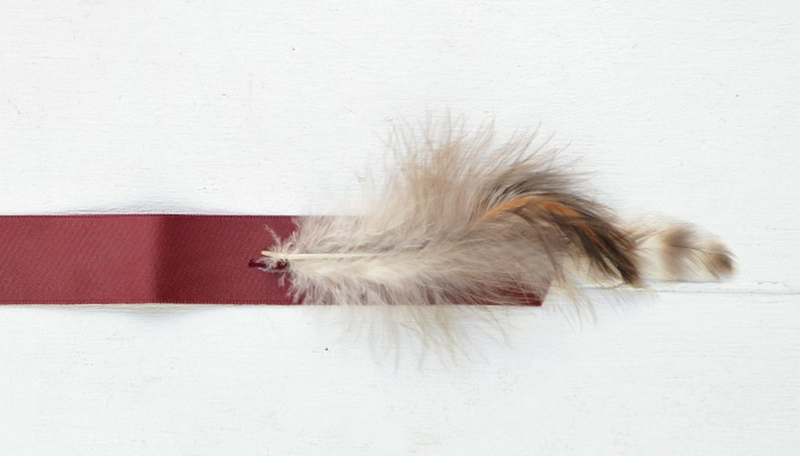 Place another feather onto the glue. 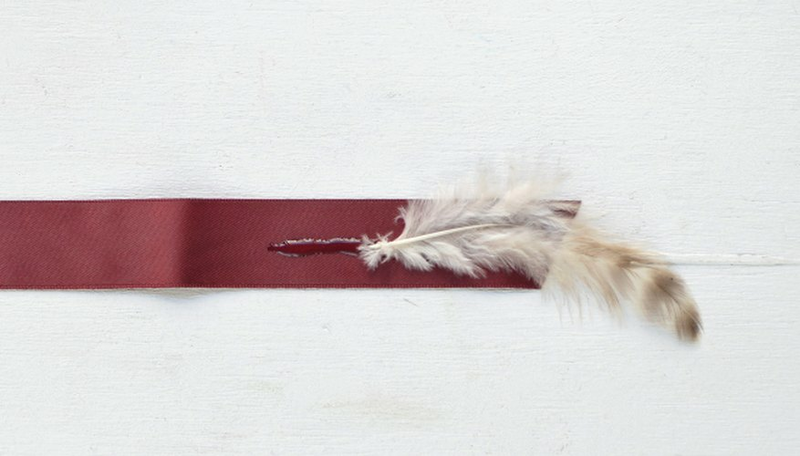 Repeat until the entire length of ribbon is covered in feathers. 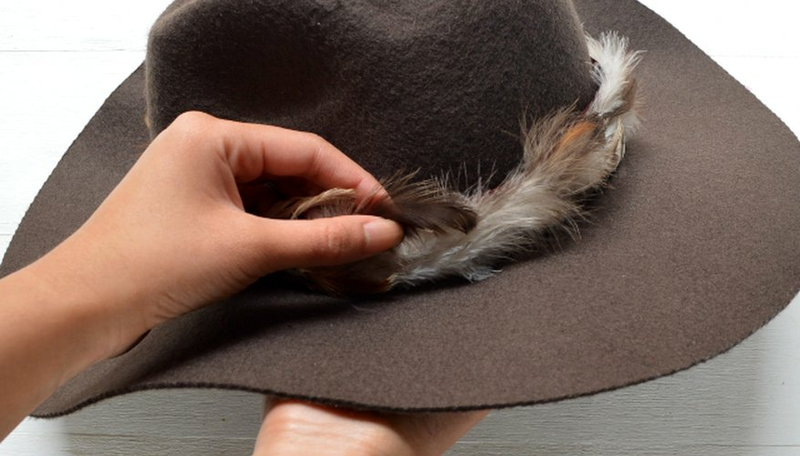 Wrap the feather-covered ribbon around the hat, overlapping the ends. 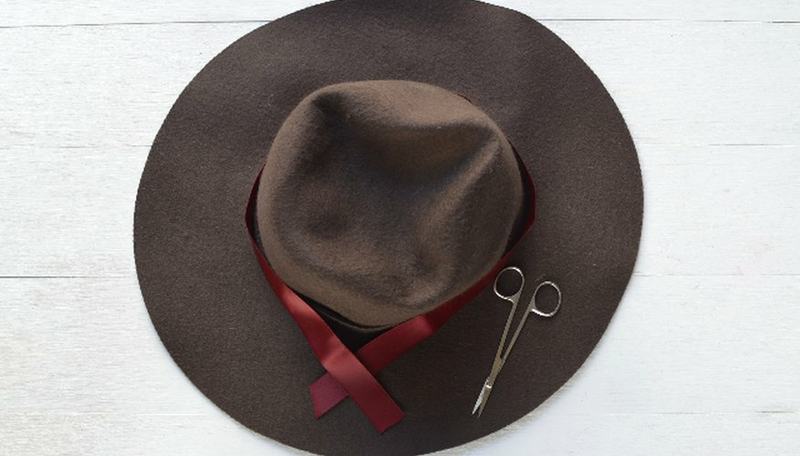 The ribbon should fit comfortably around the hat. For best results, try the hat on to make sure the ribbon is not wrapped too tight. Then glue the ends together and cut away the excess ribbon. 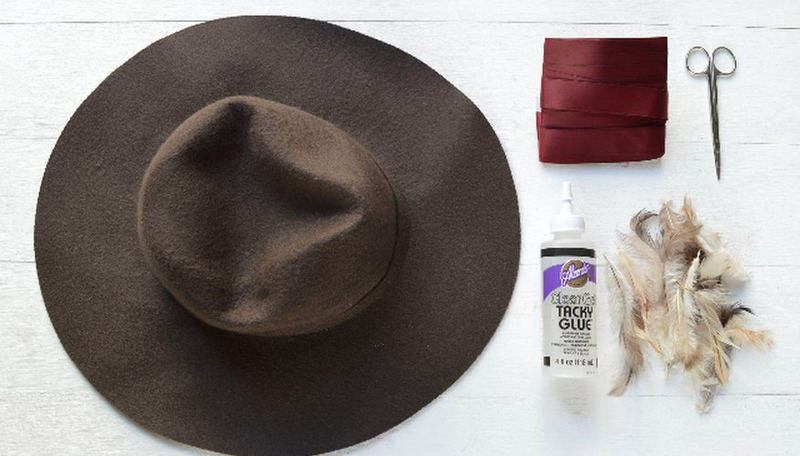 Once dry, your new hat is ready to take on the town.